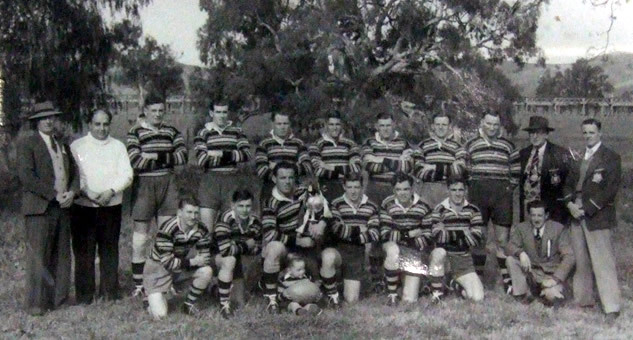 The Gundagai Rugby League has secured the services of Kangaroo forward, Neville [should read Nevyl] Hand, as coach for the 1949 season. Hand, who is 26 years of age, is 6ft. 1 in, and weighs over 15 stone. He was one of the outstanding forwards of the Kangaroos, which last month returned home, from the tour of England and France. It is expected that Hand will arrive in Gundagai at the weekend.